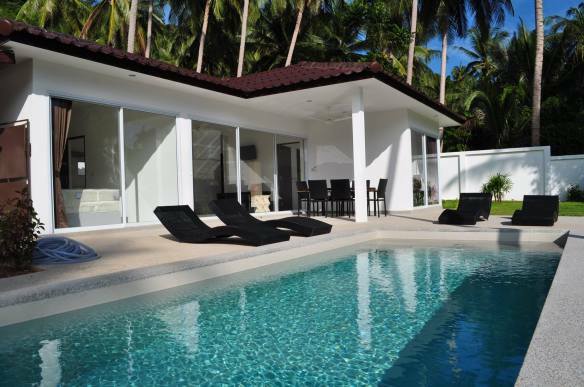 Nice new developement of 3 bedroom private villas in a quiet area of Lamai on Koh Samui with a palm tree and montain views. 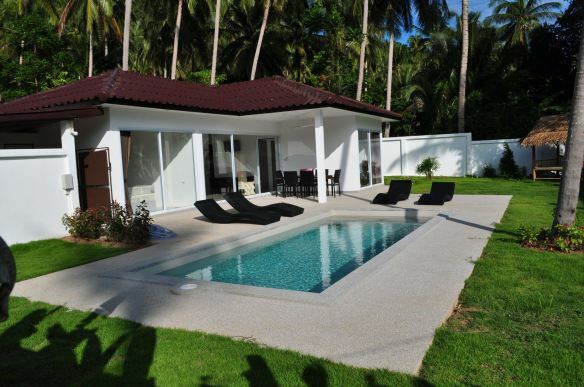 The new residence in Lamai on Koh Samui of 18 villas with 3 bedrooms, each with its own territory and a swimming pool behind the fence. The residence is located on a road in the jungle with a mountain and coconut grove views. Supermarket and market stand in a distance less than 1 km. 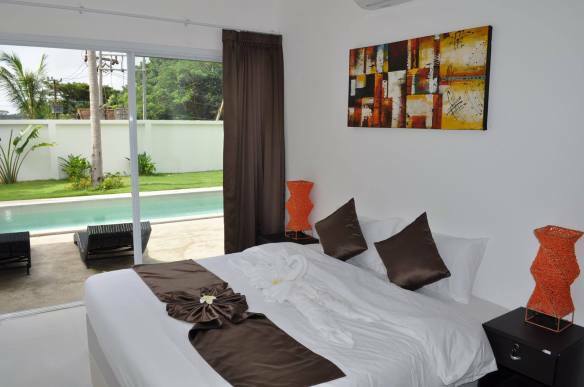 Each villa has a private parking, garden, swimming pool, living room with kitchen, 3 bedrooms, 3 toilets. 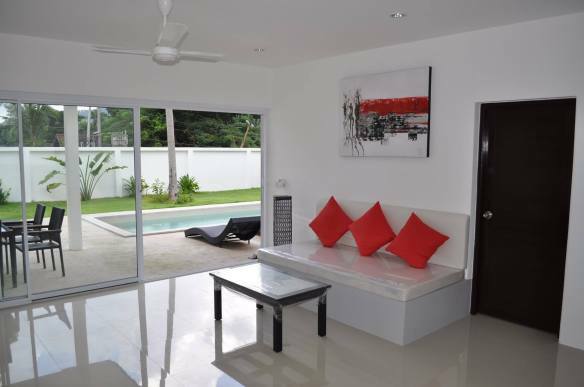 The villas are ideal for families or friends. 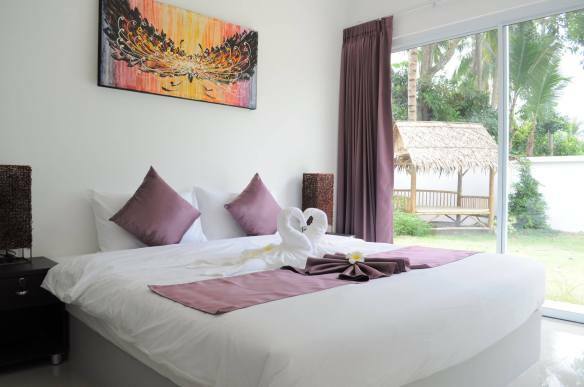 The villa is decorated in contemporary Thai style. 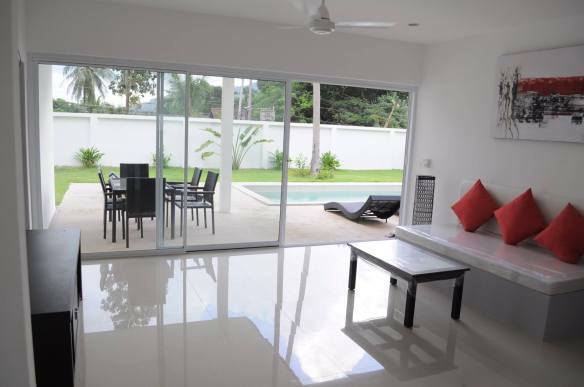 The lliving room and a terrace equipped with fans and 3 bedrooms are air-conditioned. 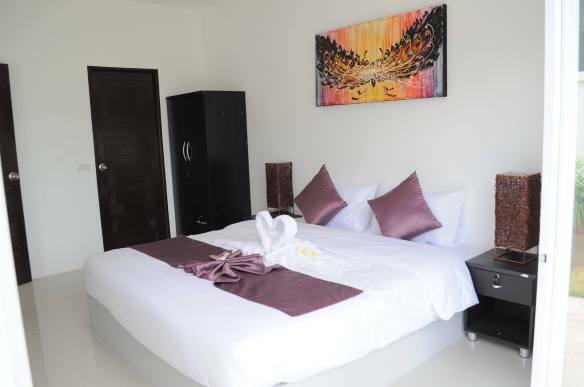 The bedrooms have double beds and bathrooms. 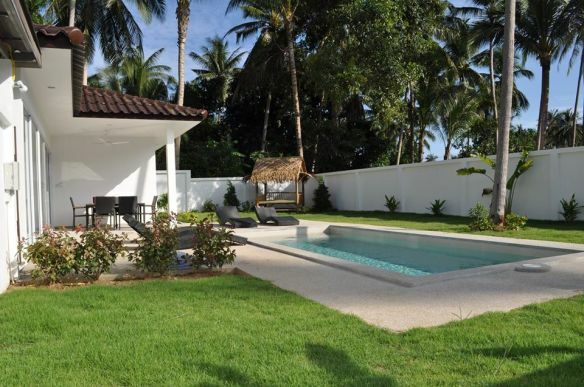 The villa has WIFI coverage. 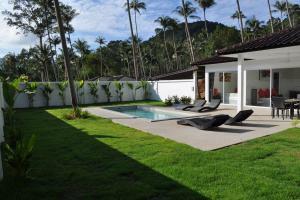 You can relax in the pool or take a sunbath on the loungers in the shade Sala (small Thai bamboo hut). Free shuttle bus in Lamai area!!! 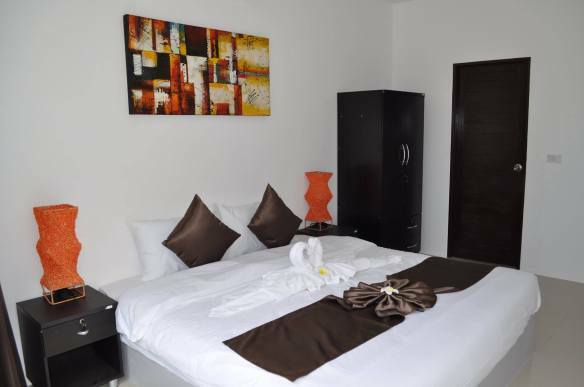 Booking deposit is 50% of amount and the balance is paid when check-in. Cleaning room and changing towels and bed sheets 2 times per week.